Cambridge Network Solutions has provided invaluable technical support and guidance for Excelr8 Learning’s Cambridge tuition centres since 2011 via a monthly support contract. Principal James Bee has helped us set up a new tuition centre from scratch as well as providing very reliable ongoing back up and support. We are very pleased to recommend Cambridge Network Solutions. Cambridge Network Solutions took over our IT Support about 18 months ago, and have always been readily available to support us when things go wrong. More recently upgrading our Server and getting everything back up and running business as usual with very few major issues. Service is very good, problems are solved promptly, and, efficiently. Sometimes the response has been ABC (Above & Beyond the Call of duty). Charges have always been fair & reasonable. 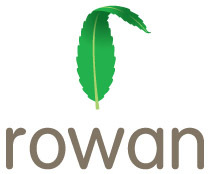 Cambridge Network Solutions has provided Rowan with IT support cover over the years. As a registered charity, we strive to use our funds in the most efficient way so ‘value for money’ is important to us to enable us to focus on our valuable work with Adults with Learning Disabilities. Cambridge Network Solutions is able to support the staff team at Rowan in a friendly and responsive way, either by telephone, over the internet or face to face on site, which has the knock-on effect of allowing our staff to concentrate on our charitable work. Having IT support that can either resolve IT challenges or guide us through resolution in nontechnical terms that we can understand is of paramount importance. Cambridge Network Solutions provides an excellent ongoing service for our law firm, providing fantastic customer service. CNS has provided all our computer services, from equipment to those unanswerable questions you have to know the answer to at 9 o’clock at night. They provide a great foundation on which to build any business. As a law firm, it is essential we have efficient, well maintained IT services, backup and advice to hand. We have found this support invaluable to ourselves and our clients.